Niko, a family of executive armchairs, is a great choice for those who appreciate sophisticated forms of surrounding objects. Strongly outlined seat and backrest are emphasized by metal elements that “pierce” through the bucket seat structure and serve as armrests. Wide seat, comfortable armrests, hinge-based adjustment mechanism and leather upholstery (or a wide selection of high-quality fabrics available in an extensive range of colours) combine into a highly functional model. 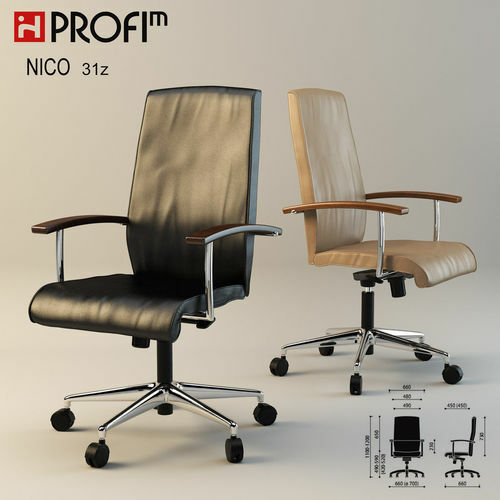 In addition to swivel armchairs, the family also comprises of four-legged or cantilevered conference chairs that are excellent for representative offices.